There's just something about a chocolate cake of the slightly fudgy kind, the kind that is lost somewhere between a lighter style chocolate cake and a rich brownie. The nearly perfect kind in my opinion. Fabulous with a dusting of icing sugar and some tart raspberries, lashings of cream or coated with a thin layer of sweet chocolate icing and toasted coconut for something different. 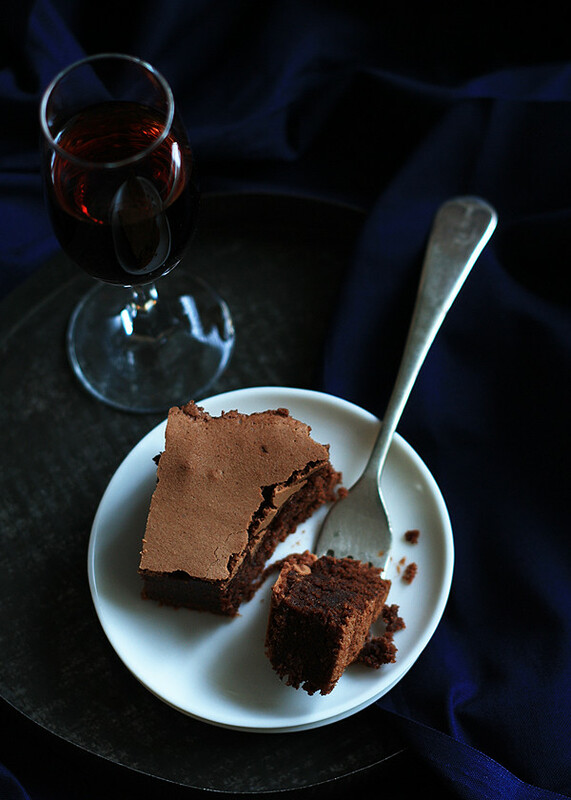 Sometimes however, they're good enough on their own, well, nearly, as the addition of a small glass of muscat never goes astray in our household, especially with good chocolate cake. I've baked chocolate cakes before, some have worked better than others, some tasted better than others too. 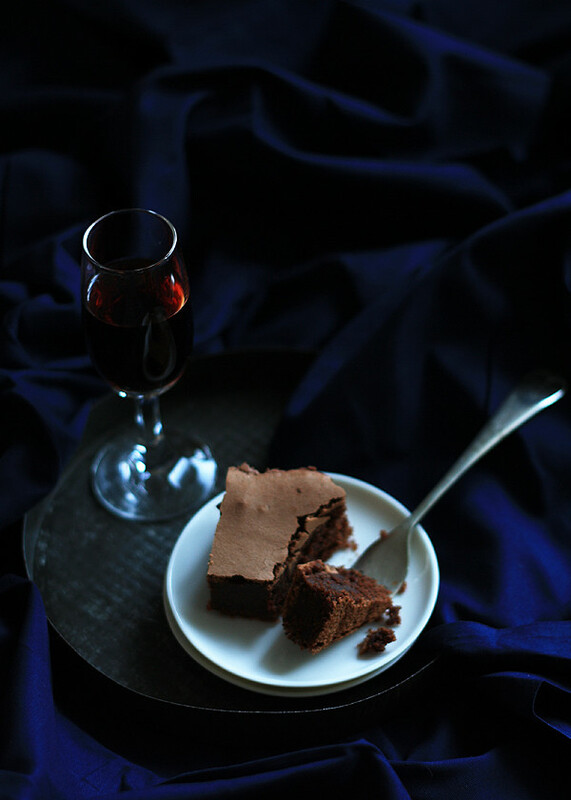 What I love is that there are so many variations of chocolate cake, there's always a new recipe to try. I have a few hundred recipes bookmarked on my computer, about a third of those are cakes and then there are the cookbooks, I don't have too many, however I do have a growing collection of some rather retro Australian Women's Weekly cookbooks, the ones I grew up flicking through on the bread bin in the kitchen watching my mum cook dinner whilst I read to her, or chose my birthday cake from the glossy pages. Yes, there's always cakes to be baked - chocolate cakes, banana cakes, coconut cakes, fruit cakes, pistachio cakes, cakes made with real strawberries and cream and light as air sponges. Preheat oven to 180degrees celsius and line a 28 x 18 cm brownie tin with baking paper. In a bowl over hot water melt together the chocolate and butter until smooth. Remove from heat and allow to cool. In a stand or electric mixer whisk eggs until just frothy. Add the castor sugar, flour and cooled chocolate mixture. Mix on low til combined (so the flour doesn't puff up everywhere) then increase speed to medium high until the mixture has turned a slightly paler shade of luscious chocolate and is smooth. Pour into the prepared tin and bake for approximately 28-30 minutes. Allow to cool in the baking tin. Will keep for 3-4days in an airtight container.